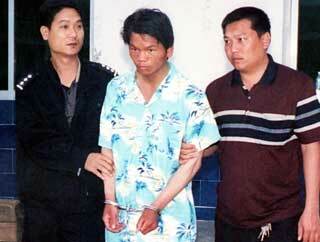 It is not the first time that student killer Ma Jiajue had been on the run. In 1999, as an 18-year-old student in senior high school, he became so depressed that he might not pass the National College Entrance Examination that he quietly slipped away without informing anyone. The school reported the matter to police and Ma was found a few days later in Guigang, a city 50 kilometers away from his school. Ma reportedly told police that the reason for his trip to Guigang was he had never seen the sea; and since Guigang means "Gui port" in Chinese, he thought it was a seaside city. The school took him back and imposed a disciplinary punishment. This time, though, the 23-year-old final-year biochemistry major will not be going back to Yunnan University in the provincial capital, Kunming. He will either face the gallows or a long-term detention. 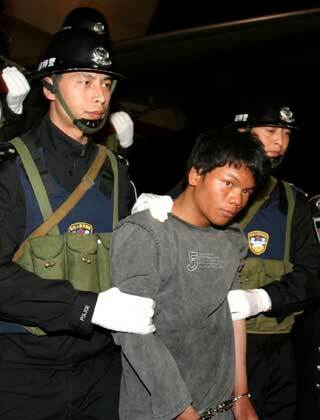 On the run for 21 days, Ma was arrested in Sanya, South China's Hainan Province, on Monday night. Police said he confessed to the killings of four fellow students between February 13 and 15. The bodies were found in dormitory closets on February 23. The Ministry of Public Security had issued a nationwide alert for Ma's arrest on February 24 and announced a 200,000 yuan (US$24,000) reward for information leading to his capture. Asked for a reason for the killings, Ma reportedly told police that they accused him of being a cheat in a card game. A loner at home; an introvert at school; a bookworm with a complex about his poverty; a kung fu fan who loved violent movies; and a brilliant student whose performances would suddenly dip. This is the complex portrait that emerged from conversations with Ma's parents, teachers and peers. His introverted character and long-time depression may have contributed to his cruel killings, according to psychological experts. 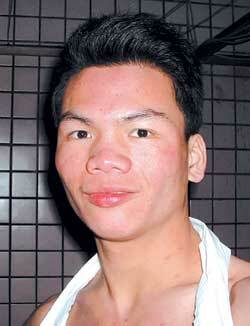 Ma, 23, came from an impoverished rural family in a remote village in the Guangxi Zhuang Autonomous Region. As the first in generations to progress to higher education, he was the pride of the family. His father, 54-year-old Ma Jianfu, still does not believe what his son had done. "Can you see the cruel side of him?" the elder Ma asked pointing to a black-and-white photo of his son taken during his middle school days. Li Fengying, Ma Jiajue's 53-year-old mother, said Ma has two sisters and one elder brother but they do not have close ties. The junior Ma spent a lonely childhood as both his father and mother were preoccupied with farming, according to Li. She added that there was little communication between the father and son because both of them were men of few words. Studies took up Ma Jiajue's life in primary school and he had few friends to play with, said Ma Zangyuan, one of Ma Jiajue's teachers. The teacher recalled that Ma Jiajue was one of his best students; he was good at mathematics but did poorly in the Chinese language. When Ma Jiajue attended junior high school in Binzhou Middle School, he studied harder and finally became the top student in his class and even won second prize in a national physics competition. "He was undoubtedly famous in junior school and won the admiration of his classmates," said Wang Guisheng, one of Ma Jiajue's teachers at the school. But in the eyes of his classmates, Ma Jiajue was still a studious student who had no friends. In 1997, Ma Jiajue joined Binyang Middle School for senior high school but no longer studied hard. Huang Jian, one of his former roommates, said Ma was addicted to reading kung fu novels at that time while staying aloof from his classmates. And an inferiority complex caused by the poverty of his family added to Ma Jiajue's loneliness. Meanwhile, his academic performance fell sharply. Realizing his slim chance of attending university due to the highly competitive entrance examination, Ma Jiajue was so perturbed that he took off from school in November 1999 - and was found by police a few days later. The incident, however, did dramatically change Ma's life, who made a desperate effort to make up for his failures - and succeeded in the university entrance exam. In September 2000, Ma was admitted to Yunnan University - and his father gave him the family's life savings of 6,000 yuan (US$725). During his first year in college, Ma made a futile effort to be sociable but ended up becoming more testy, frequently quarrelling with his classmates. "All of us felt his mental problems because he always picked fault with others while never thinking he may have done wrong," one of Ma Jiajue's university classmates said. "For that reason, his classmates distanced themselves from him but they never expected him to take such an extreme step." His classmates said he did not participate in any group events in the past four years. "The murderous crime resulted from his long-time depression and perverted mentality," said one of Ma Jiajue's classmates. Psychological experts say Ma's actions have a lot to do with his mental problems, and put the focus on the psychological health of college students. Zhao Ying, a psychology counselor at Renmin University of China in Beijing, said Ma's growing-up years demonstrated that he has long been suffering from isolation. University teachers should look out for mental problems in students such as Ma and encourage them to take part in more collective activities to help them overcome their social problems, Zhao said, adding that colleges tend to ignore psychological problems among students while paying more attention to their studies. Zhao pointed out that images of violence in movies and on the Internet should also be partially blamed for rising violent crimes among young people. Media reports said Ma Jiajue loves action movies and often surfs the Internet for information or pictures about murders and attacks against police. Wang Jianzhong, a member of a committee specializing in the mental issues of college students, said many college students are beset by various degrees of psychological problems. A report on the mental health of college students released last year said that around 16.5 percent of 500,000 Beijing college students have a tendency towards illness. To address the serious problem, as many as 70 percent of Beijing-based colleges and universities have established psychological consultation centers to provide students with access to professionals to discuss their conflicts and issues.